Impressed Ary de Milde above a running fox in an oval. Applied in relief with floral sprigs. 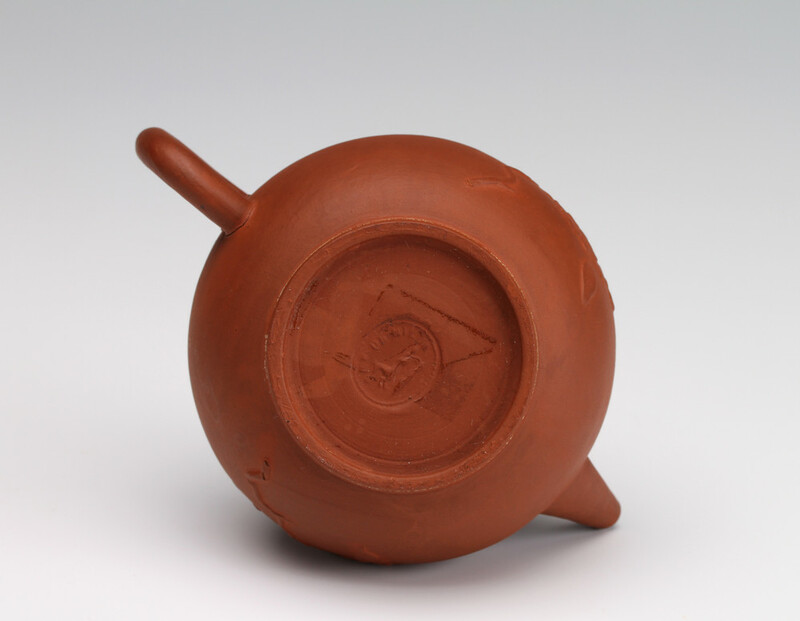 Ary de Milde is the best known of a group of Delft potters who specialised in making copies of Chinese Yixing redware teapots. He is recorded as working from 1678 until his death in 1708; his family continued his pottery, De Gecroonde Theepot, until 1724. 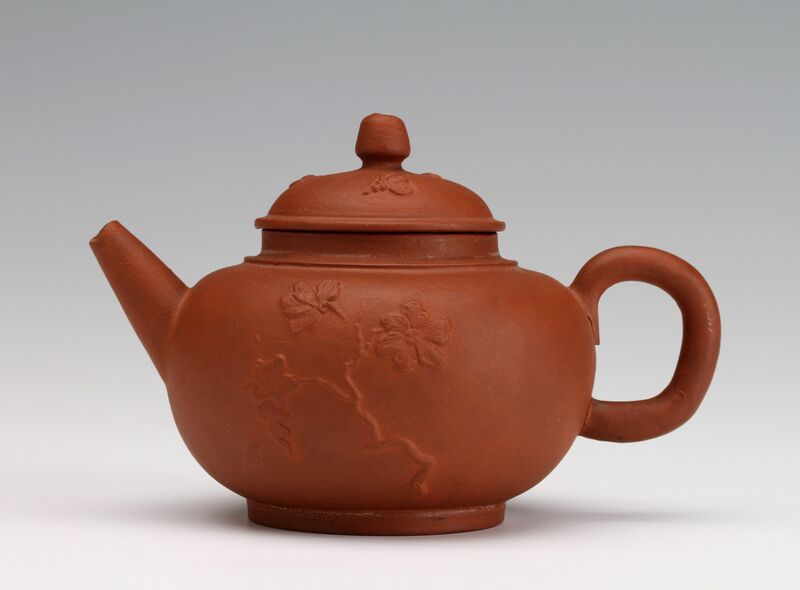 In the late 17th and early 18th century Chinese Yixing teapots were imported with tea to Holland and England where they became fashionable and expensive leading to attempts to reproduce them. 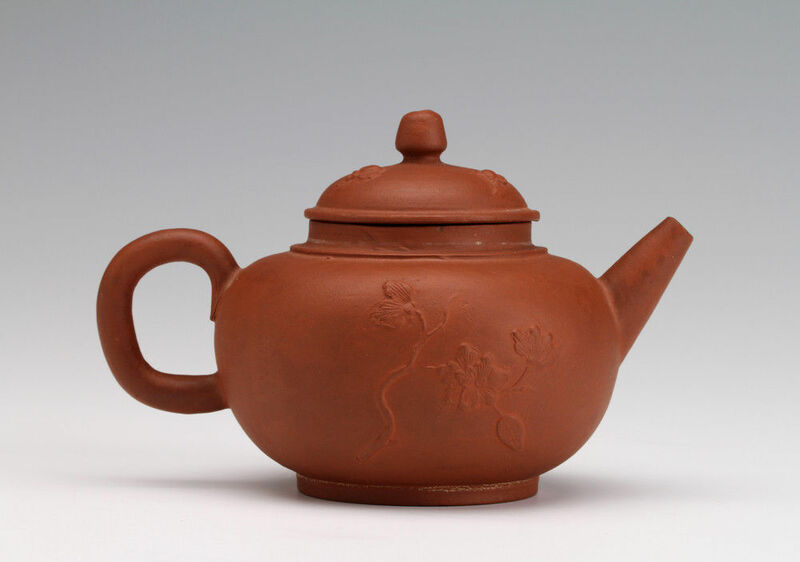 The Dutch redware teapots, such as this example, could be quite accurate copies of the Chinese although in a slightly less dense and hard body. Condition – Chip to tip of spout.